Miss Goes Away: Christmas at Hogwarts. Christmas is synonym of comfort and happiness. The cold afternoons are spent near the fireplace watching Christmas films & drinking hot tea. I love to re-watch some of the Harry Potter films, especially Harry Potter and the Philosopher Stone & Harry Potter and the Half Blood Prince. 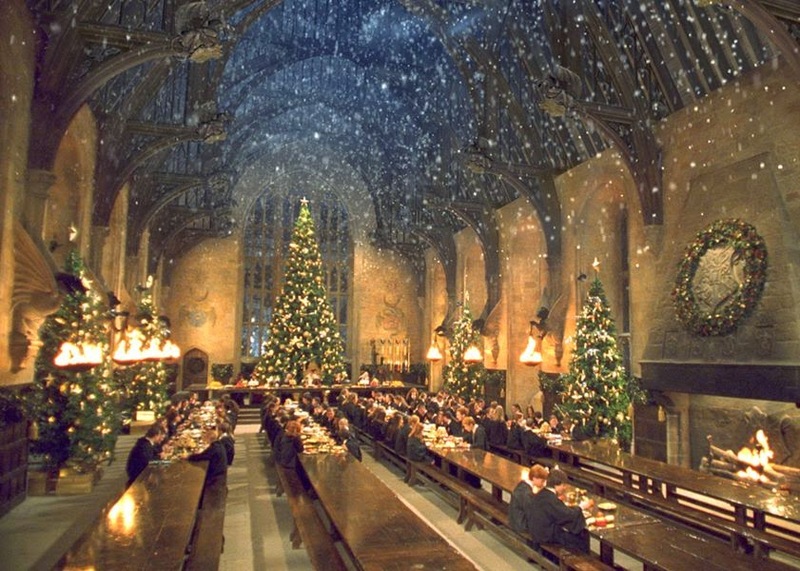 Christmas at Hogwarts is always so amazing. The school is covered in snow and completely decorated for the festivities. The Christmas Feast is held on Christmas Day in the Great Hall, where the tables are always full of delicious food.